O.T.S. Astracon has close relationships with airline personnel throughout the world. We are proud to be a member of CTPAT (Customs Trade Participation Against Terrorism) and certified with TSA (Transportation Security Administration). We're registered as an IAC (Indirect Air Carrier), which we are currently listed in the IAC Active List by TSA, and our export employees are certified to handle any dangerous goods shipments via both ocean and air. 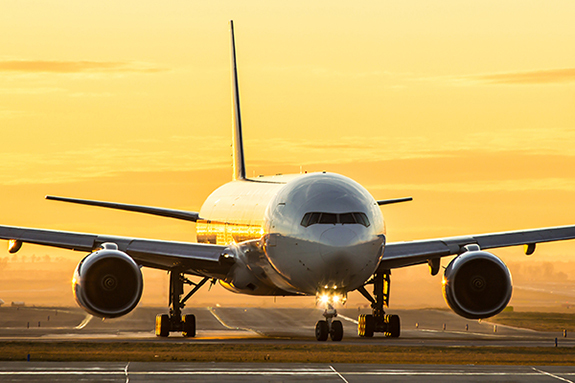 Our Air Freight services operate throughout all major international destinations. You can request a free quote, compare rates and book services to over 800 international airports at any time. We send freight by air using high quality services provided by major commercial airlines and international cargo carriers. We can handle all special documentation, legalization, and any special banking needs that are necessary for your export. We offer air consolidation services, direct air shipments, full containers, less than a container, and breakbulk shipments.